Window blinds are the most popular window covering solution and bring significant benefits. It is a great way to enhance the look of a room while making it more relaxing with the ability to control sun light. Browse our huge variety of window blinds to give a new look to your old windows and enhance beauty of your space. Having qualitative experience in the blinds and shade industry, we are supplying and fitting the cheap window blinds in High Wycombe Buckinghamshire and across UK. Each our blind is made of the high quality British fabric and designed to reduce the heat in summers and heat loss in winters, making your space comfortable all year around. You can choose from wide range of high quality window blinds. 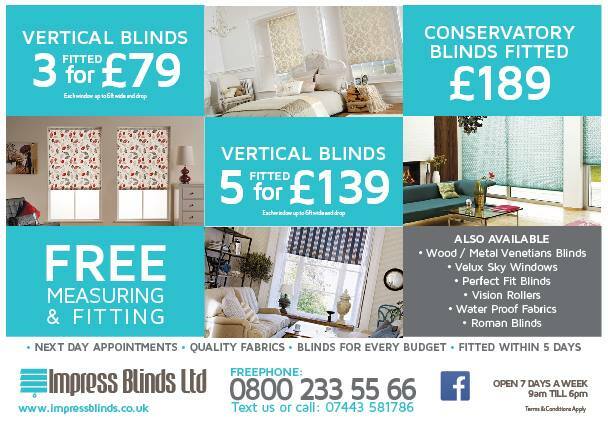 Our popular blinds range include vertical blinds, conservatory blinds, roman blinds, vision blinds and roller blinds which are ideal for residential and commercial premises. Whether you are looking for the best covering solution for your kitchen, lounge, bathroom, conservatory or for the office, our made to measure blinds will be a great choice for your space. We are proud on serving and fulfilling the window covering demand of our valued customers in High Wycombe, Buckinghamshire areas and all over the United Kingdom. Having strong presence in the High Wycombe (UK), we ensure you a fast delivery of your ordered blinds materials with a turnover of 5-7 working days. Moreover, we also provide free consultation, measuring as well as fitting services to all our valuable clients in High Wycombe, Buckinghamshire and throughout UK.